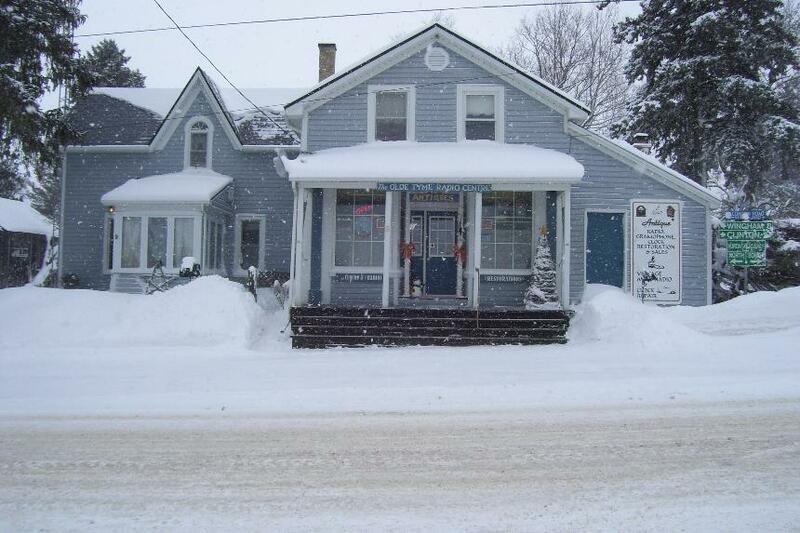 The Olde Tyme Radio Centre Home Page Welcome Take A Walk Down Memory Lane. 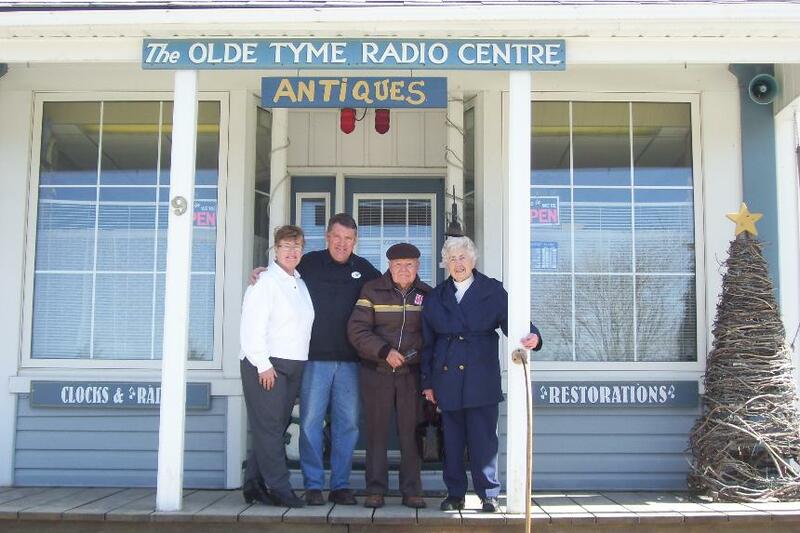 The Olde Tyme Radio Centre Antique Radio Sales & Restoration & Repairs and rebuilding to Vintage Auto Radio & Clocks,Speedometers & Tachs. 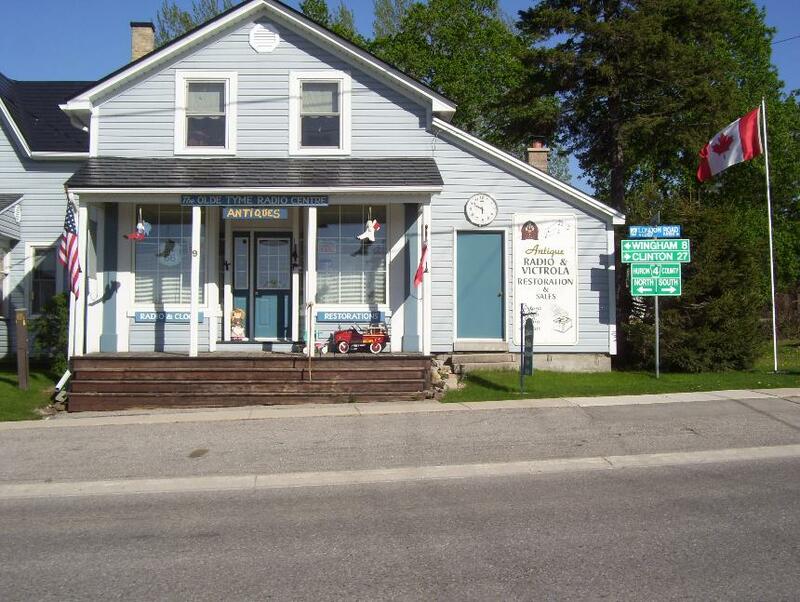 Antique Clock Rebuild & Restoration,Antique Telephone Restoration To Work On your modern System.Gramophone Restoration & Sales + are Many Neat Antiques.Please click on the above headings and take a "Walk Down Memory Lane" Please call ahead 519-357-4304 or email us at oldetymeradio@tnt21.com Our next Show will be "The Bothwell Car Show And Flea Market"in Bothwell Ontario August 9TH & 10TH.This is one event you do not want to miss Nearly 500 Vendors Auto Related Flea Market Friday & Saturday then Saturday only Vintage Car Show with nearly 2000 Classics.We are in The First Row of Vendors come say Hello. Pictured here with us is Ross & Barbara Anderson Who ran Anderson Hardware in our store from the 1950s - 1990. We lost Ross at 94 years young on July 27th 2016 but many memories of his great work are very evident in our home and business. 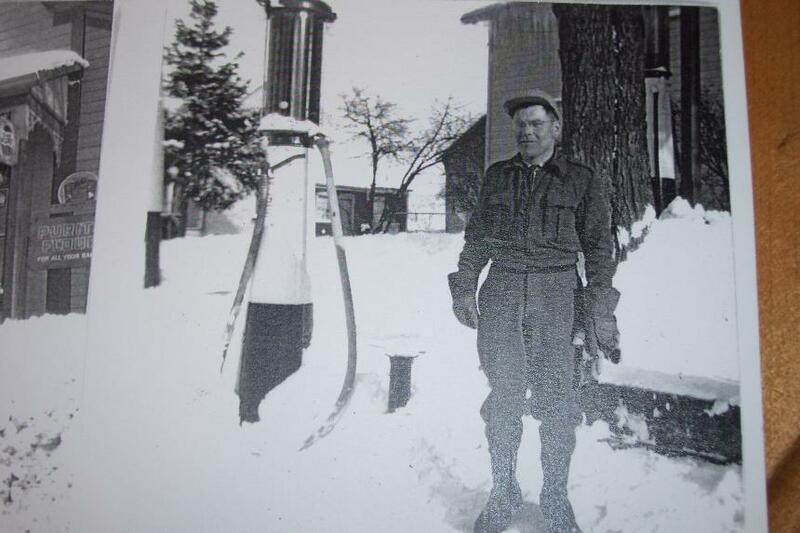 This is Ross Anderson ready to pump gas in the 1950s in front of our store then Anderson Hardware. 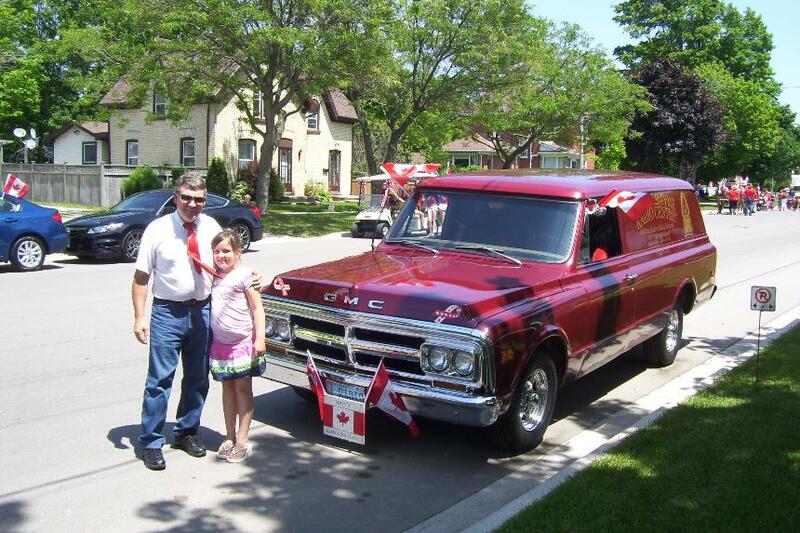 This is our old faithful 1969 GMC Panel Truck that has been with me for over 40 years and many business ventures one being Garys Burger Haven In Paisley Ontario 1971 - 1977.In the picture perfect Photo is myself and our Granddaughter Jillian Leck from Ottawa at a Canada Day Parade in Goderich.Thank You For Viewing. 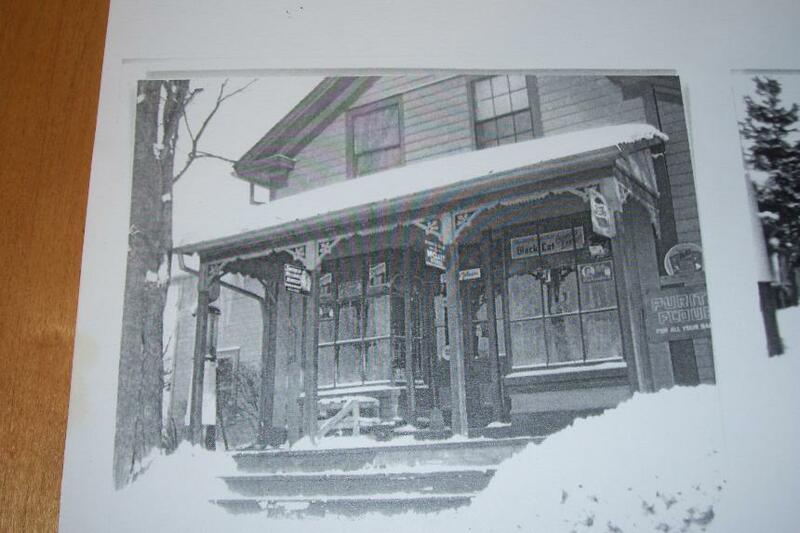 I would like to Thank all who have had a Restoration or repair or purchased one of our fine Restorations over the years.You are why the Business has been a success Thank You.I also would be in great error if I did not Thank My Lord & Savior Jesus Christ for the many years of health and strength and answered Bench Prayers & my wife Nellie always being there for me no matter what.Thank You For Taking The Time To Read Our Front Page.Click on the headings at top to view our very rare business.